Have you come across unnecessarily complex digital products? We’re looking for accessibility testing participants to help us make a real difference: and you can earn some cash along the way, too! At System Concepts, our work often involves checking the usability and accessibility of our clients’ digital products – including systems, websites and apps. To do this, we invite people with a wide range of disabilities (e.g. visual, auditory, motor, cognitive) to our testing labs (located in central London) to test these products and give us their views. Your feedback’s a big deal. We often test our clients’ products at early stages of development, when there are opportunities for major changes and improvements. Your feedback from the testing sessions is crucial – it can have a real influence on the accessibility of the final products. Ultimately, this means more accessible websites and apps for you and everyone else to use! You can open our clients’ eyes. Many people do not understand how those with a disability can use websites and apps. For example, it’s commonly believed that blind people can only perform really basic tasks on their own (if any at all). You can change this view, just by demonstrating to our clients how you normally access web content. 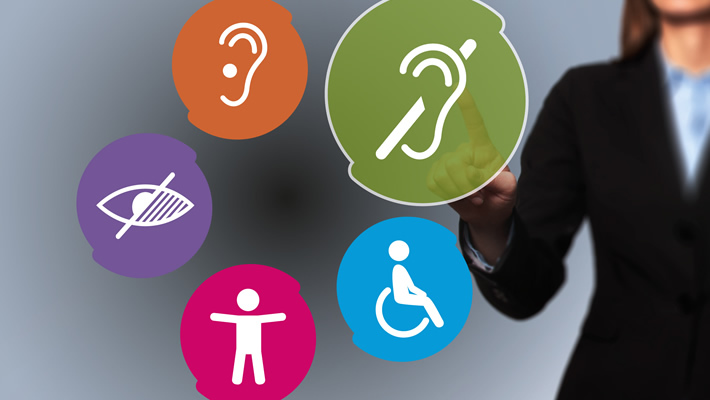 Understanding that websites and apps can be used by people with disabilities can be one of the strongest motivations to for clients to improve accessibility. We pay you. Yes, that’s right! Not only will you be making a tangible difference by helping make websites more accessible, you will be paid to do so! We remunerate you for your time and also pay your travel expenses. For example, a typical session lasts about 90 minutes: we generally give around £70 – £80 as compensation for accessibility testing participants time, and reimburse travel expenses. It’s fun, and there’s no commitment: Many of the people who take part in our sessions really enjoy them. You get a sneak peek at brand new websites and apps that haven’t yet been released to the general public. We work flexibly, so you are under no obligation to take part in our accessibility testing sessions: you decide whether you have the time and inclination to participate.